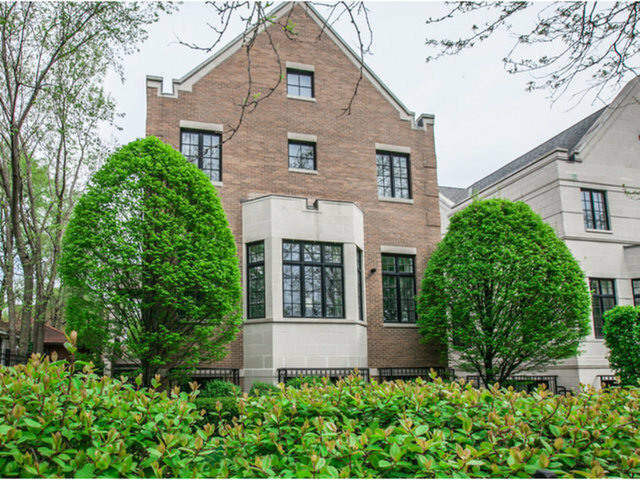 Situated on a quiet tree lined street in the Kenwood Historic District, this new construction 5,000 sq.ft. residence was custom built in 2007 for the seller. Designed by architect Roy H. Kruse, the brick and stone house blends easily into the street scape of gracious 19th century mansions while providing all the amenities of modern living. Aesthetically, finishes incorporated throughout the house are exquisite and include Brazilian wood flooring on the main level, stone floors in the entry and marble in the baths. Custom moldings, recessed lighting and French doors add elegance to every space. The home features a formal living & dining area for entertaining and a sleek kitchen and family room that open to the private landscaped back yard, with a water feature for summer days. Upstairs are a large master suite and three bedrooms, while the lower level has a 10-seat movie theater, sauna, meditation room, and exercise room. Ten minutes to the Loop and blocks from the U of Chicago.